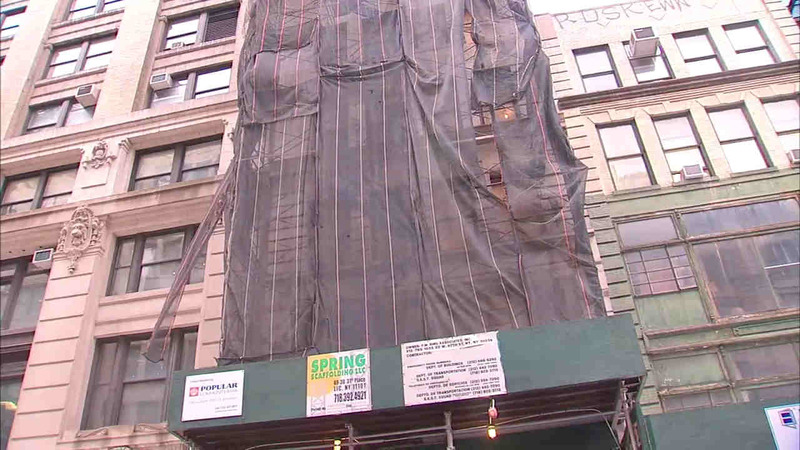 CHELSEA, Manhattan (WABC) -- A construction worker fell several stories inside a Chelsea building under renovation. The worker fell down an elevator shaft just before 8:30 a.m. Wednesday inside a building on West 17th Street. He fell from the fifth floor, and may have landed on a piece of rebar. He was seriously injured and taken to the hospital. The building has numerous prior violations and got a $1,500 civil penalty in November for "failing to certify correction on immediately hazardous violation."